Energetic Star Ram, who scored a hit with his last film Nenu Sailaja, is currently shooting for a mass action entertainer titled Hyper under the direction of his Kandireega maker Santosh Srinivas. 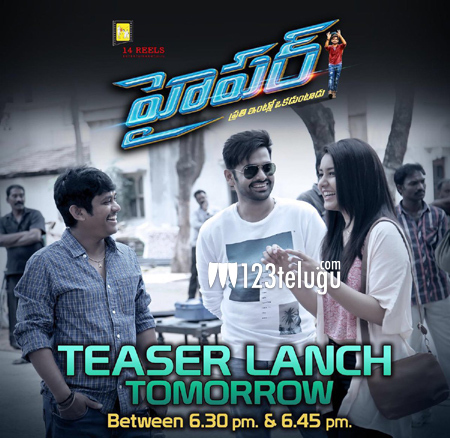 Latest reports reveal that the film’s teaser will be released tomorrow evening at 6 PM. Raashi Khanna plays the female lead in this film, which is being produced by 14 Reels Entertainment banner. The film is set to release on September 30th.